Driver Trapped in Wreckage After Fatal Crash on U.S. Route I-95 | Schuler, Halvorson, Weisser, Zoeller & Overbeck P.A. A 37-year-old driver was trapped in the wreckage of his car after a fatal crash on northbound U.S. Route I-95 in West Palm Beach. 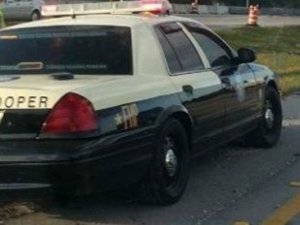 Officers of the Florida Highway Patrol arrived to the scene of a crash involving a Dodge Avenger and a semi-trailer truck. The Dodge Avenger was damaged beyond recognition and had a trapped driver within when police arrived. A semi-trailer truck was also resting on its side a couple of feet from the right shoulder of the road. Authorities say the 37-year-old man traveled northbound in his Dodge Avenger when he lost control of his vehicle and collided against the side of a semi-trailer truck. Consequently, the impact of the crash sent both vehicles drifting towards the right shoulder of the road. Additionally, the driver of the semi truck struggled to regain his balance as the truck swayed from side to side. The vehicles continued in their trajectory, clearing a light pole, before the semi truck lost balance and rolled onto its side. The Dodge Avenger sustained heavy damage, all the while entangled with the trailer as it cleared its way towards its resting place. use the jaws-of-life to pry open the wreckage and rescue the trapped driver of the Dodge Avenger. The 37-year-old driver sustained multiple fractures and severe lacerations. Paramedics transported him to the hospital in an extremely critical condition. Meanwhile, the driver of the semi truck also sustained injuries in the crash; paramedics transported him to the hospital for treatment as well. The FHP said the cause of the crash remains unknown, and investigations will be delayed pending the time that both victims recover from their injuries.